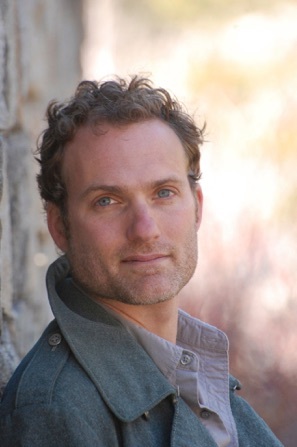 Josh Weil is the author of the novel The Great Glass Sea, the novella collection The New Valley, and story collection The Age of Perpetual Light. Published internationally, his books have been New York Times Editor’s Choices and selected for the Powell’s Indiespensible program. They have been awarded the Dayton Literary Peace Prize, the Sue Kaufman Prize from The American Academy of Arts and Letters, the California Book Award, the Library of Virginia’s Literary Award, the GrubStreet National Book Prize, the New Writers Award from the GLCA, and a “5 Under 35” Award from the National Book Foundation. Weil’s short fiction has garnered a Pushcart Prize and appeared in Granta, Esquire, Tin House and One Story, among others. He has written non-fiction for The New York Times, Time.com, Poets & Writers and The Sun. A recipient of fellowships from the Fulbright Foundation, the MacDowell Colony, the Merrill House, and Virginia Center for the Creative Arts, he has been the Tickner Writer-in-Residence at Gilman School, the Distinguished Visiting Writer at Bowling Green State University, the Grisham Writer-in-Residence at the University of Mississippi, and the Distinguished Lecturer at The Sozopol Writing Seminars. He has taught at Columbia University, New York University, The New School, Brooklyn College, Sierra Nevada College, and Bennington College, as well as at numberous conferences, including the Squaw Valley Community of Writers and Bread Loaf. Born in the Appalachian mountains of Southwest Virginia, he currently lives with his family in the Sierra Nevada of Northern California. "Josh Weil is a terrific young writer. His sense of what is crucial and dramatic make his stories deeply alive."